(b) Remove the 5 bolts. (c) Disengage the 2 clips. (d) Tie a string to the wire near the connector of the power back door touch sensor assembly. (e) Remove the power back door touch sensor assembly. 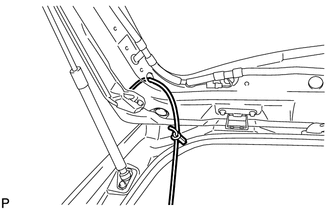 Leave the string inside the back door frame because it will be used for installation. (f) Untie the string from the power back door touch sensor assembly. (a) Tie the string to the wire near the connector of the power back door touch sensor assembly. 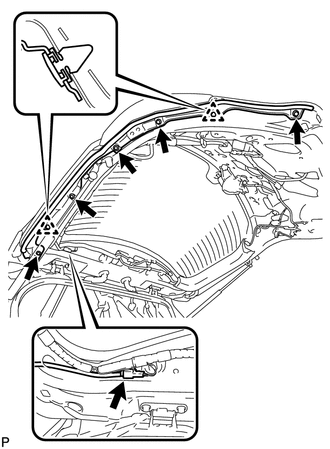 Use the string that was left in the door during removal of the touch sensor assembly. (b) Pull the string to help pass the connector through the inside of the back door frame. (c) Engage the 2 clips. 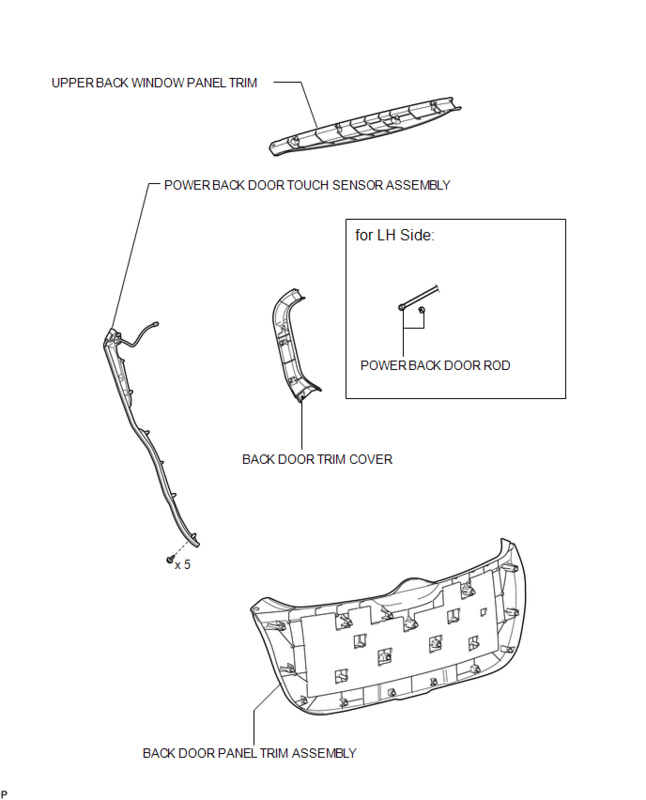 (d) Install the power back door touch sensor assembly with the 5 bolts.